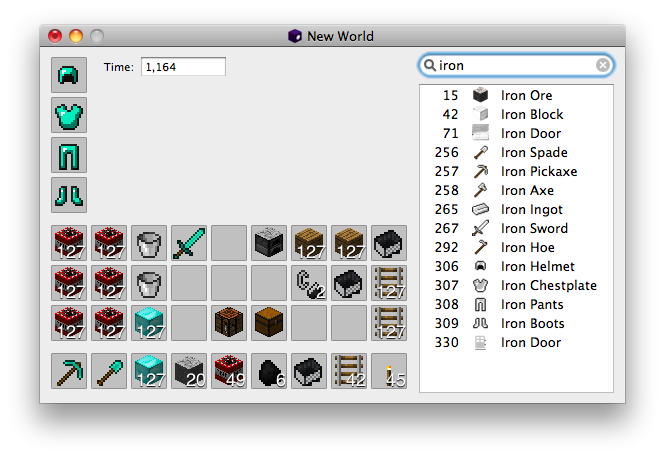 Inside Job is a Minecraft inventory editor for Mac OS X 10.6 written by Adam Preble. It is no longer being actively updated by me, however there is at this time an active fork here: McSpider/InsideJob. Instructions, release notes, and the full license text (MIT License) are available here. The source code to Inside Job is made available under the MIT License. You can download this project in either zip or tar formats. Please report issues with Inside Job by creating an issue on GitHub.